Bill Bock is an independent consultant and Board Director. 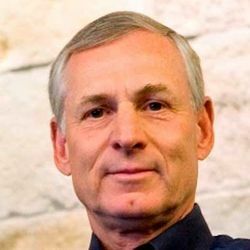 He is a member of the Board of Directors of Silicon Laboratories (NASDAQ: SLAB), where he previously served as SVP/CFO from 2006-2011 and President from 2013 to 2016.Bock currently serves as Board Chairman of SailPoint Technologies (NYSE: SAIL) and is a member of the Board of Directors of SolarWinds (NYSE: SWI). Bock is a Senior Advisor to Foros, a financial services firm that provides M&A and corporate financial advisory services. He is also a Board Director and advisor for a number of venture capital backed private technology companies. Bock co-founded the Entrepreneurs Foundation of Central Texas in 1999 and continues to serve as its Chairman. Bock participated in the venture capital industry from 2001 to 2006, primarily as a general partner with CenterPoint Ventures. Before his venture career, Bock held senior executive positions with three venture-backed companies. Dazel Corporation, where he was President and CEO, was acquired by Hewlett Packard. Tivoli Systems, where Bock was EVP/COO, completed a successful IPO and was ultimately acquired by IBM. At Convex Computer Corporation, Bock served initially as SVP/CFO and subsequently as SVP WW Sales. Convex also completed a successful IPO. Bock began his career with Texas Instruments. He holds an MS in Industrial Administration from Carnegie Mellon University and a BS in Computer Science from Iowa State University.